Shown below are Block Diagrams of the FT-100B and the FTDX100, 5 band SSB/CW/AM mainly solid state transceivers. 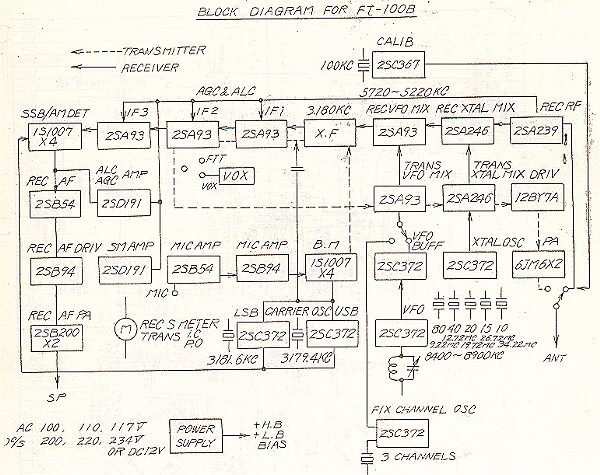 Note that the block diagrams of the FT-100B and the FTDX100 are almost identical. 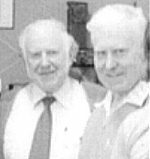 Both germanium and silicon transistors were used in almost equal quantities, unlike the original FT-100 which used nearly all germanium devices, and the later FT-101 which used nearly all silicon devices. 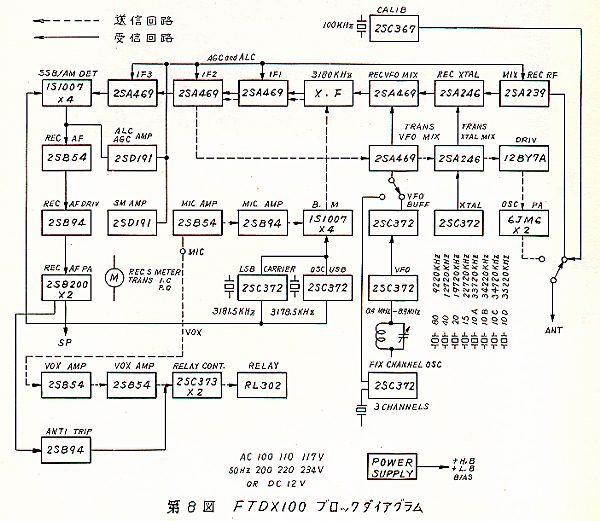 By the time Yaesu released the FT-100B they had refined their solid state transceiver design considerably, having used the model's FT-100 Mark 1 and 2 to iron out problem areas. Being at the forefront of technology when it was first released, the original Mark 1 FT-100 did have a few teething problems, to the extent that Bail's published their own three page Trouble Shooting Guide for it.